Many of today’s fighters prepare for the brightest lights of their careers in gyms driven by rhythm, and on fight night make their way to the ring accompanied by music’s best Sound For Sound. The inaugural Sound For Sound entry arrives courtesy of one of hip hop’s undisputed pound-for-pound best in Fayetteville, North Carolina’s J. Cole. Hard to say whether Cole has cleaned out a division, but it’s safe to say he should be praised for creating and meticulously cultivating an entirely new space where he’s virtually peerless. The man revolutionized the game by achieving 7-figure album sales with back-to-back projects that included zero featured guests, and he revitalized the the practice of concept albums with single overarching themes – Kendrick Lamar comfortably shares this lane with the Dreamville CEO. One could look at Cole and Lamar as Terence Crawford and Errol Spence, Jr. Who knows if we’ll ever get to see them work together! Sometimes Lamar’s experimentation abuts the bizarre, or ventures into the far depths of artistry where one risks losing music’s version of casuals, and that works fine for the signature elements of his album-making. Conversely, Cole tends to stay a little more straightforward with his presentation. Although, his evolution as the primary producer behind the bulk of the songs throughout his five studio albums often goes underappreciated. If we can skirt the typical “who’s best” debate, earlier in their respective campaigns Lamar at least looked like the deeper lyricist of the two. 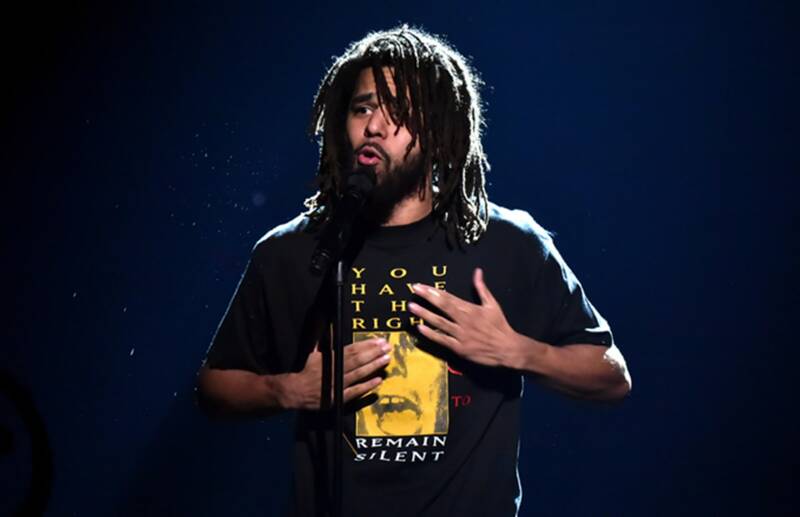 But, Cole showed some real levels in a few of the songs found on the track-list of 2018’s KOD, where the one-time Jay-Z protégé tactfully re-purposed Trap Music for the greater good. With his latest single, “Middle Child”, the production – this time outsourced to T-Minus – wades further into the modern popular sounds of rap music, but Cole continues to weave his brand of messaging into the finished product. Complete with some intentionally slurred and mumbled bars – as if to avoid his encroachment being fully detectable. There’s plenty of other fight- or fighter-related bars to pick from throughout the balance of the track. However, similar to a power puncher, Cole gets in and out as if rappers don’t get paid for overtime either. The track features the now common two verses, and clocks in at 3:33 that feels considerably less than that. The word is that Cole is will be unusually active in 2019, with him having a hand in quite a few projects. Listening to “Middle Child” only adds to the anticipation.